Too Much Power in Karzai's Hands, Critics Say A growing number of Afghans are complaining that the government they've elected is corrupt and that it does a poor job of providing basic services, let alone law and order. They accuse the West of caring more about backing President Hamid Karzai, than addressing his government's problems. Seven years after the Taliban's ouster from power in Kabul, the Islamist militia is far from beaten. 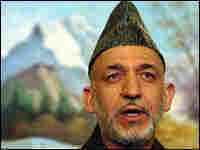 Afghan President Hamid Karzai addresses a press conference at the presidential palace in Kabul, Dec. 27, 2007. Seven years after U.S. troops and their Afghan allies ousted the Taliban, the Islamist militia is far from beaten. This five-part series explores the state, and future, of Afghanistan and the war against the Taliban. Afghanistan's parliament has been unable to force the president to fire ministers. The legislators impeached the Afghan foreign minister last year, but he's still in office. 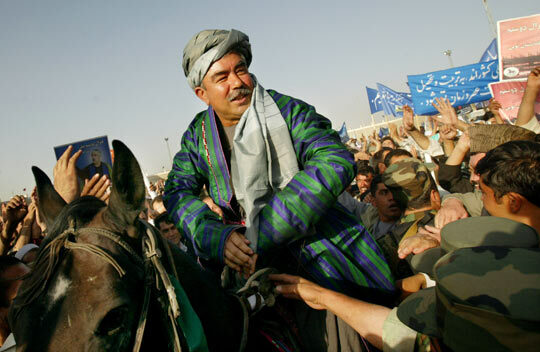 Former warlord Gen. Abdul Rashid Dostum, seen here campaigning for president in 2004, has refused to appear in court on charges he and his men brutally assaulted a rival and his relatives last month. One reason American troops are still in Afghanistan nearly seven years after ousting the Taliban is to protect the still fragile democracy there. A growing number of Afghans question whether that democracy is worth protecting. They complain that the government they've elected is corrupt and that it does a poor job of providing basic services, let alone law and order. They accuse the West of caring more about backing President Hamid Karzai, than addressing his government's problems. Some are so frustrated that they've taken matters into their own hands. One by one, the elders of the Mohammadzai tribe arrive for their weekly meeting in the southern city of Kandahar. They sit cross legged on the floor in front of cups of steaming green tea. This gathering, or shura, is a tradition the elders resurrected 18 months ago to address people's economic and security needs. They say they did so because they no longer trust their government to take care of them. 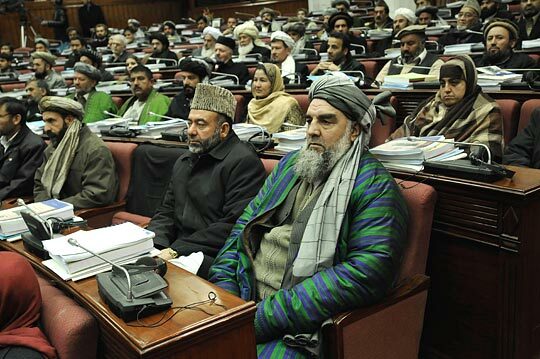 The elders debate a new plan by their tribe and 26 six others in Kandahar province to form a council that would, in effect, take over the duties of the existing provincial government. 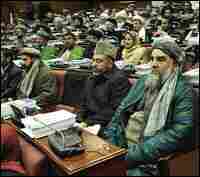 Members of the new council say they plan to tackle the Taliban, drug traffickers, unemployment — even girls' education. One of the key proponents is Mohammad Issa Durazai, a former Kandahari attorney general whose son was killed in a suicide bombing last summer. Durazai says he'd like to see the homebred council duplicated in other provinces. And he's convinced it can accomplish more in a few months than the government of fellow Kandahari Hamid Karzai has in years. "The West kicked out the powerful Taliban regime and replaced it with a government people don't like and a person who cannot be a strong leader," Durazai says. Such criticism of Karzai and his government is common in Afghanistan these days. So far, only Kandahari elders are trying to replace it. But Afghan and Western experts warn there'll be more trouble if things don't change. 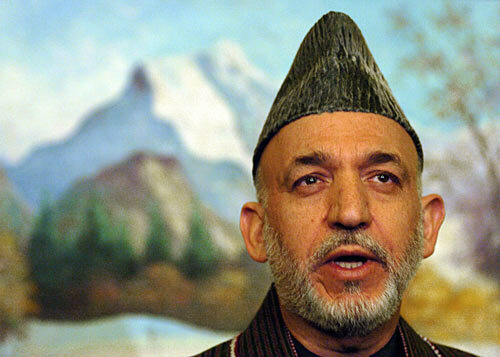 While Karzai's government is widely viewed here as ineffective, experts note he still controls the levers of power. It's the president who appoints the cabinet ministers and provincial governors. That means government officials answer to the president and his advisers, rather than to the people they are supposed to serve. Even parliament is unable to force the president to fire ministers. The legislators impeached the Afghan foreign minister last year, but he's still in office. "There are signs that if we are not careful, we might be moving towards a dictatorship," says Mahmoud Saikal, a former deputy foreign minister who also served as ambassador to Australia. Saikal is helping establish an internationally mandated development strategy for his country. And he has plenty of concerns. "I've seen lately some documents emerging from the States and also from Europe referring constantly to supporting the government of President Karzai," Saikal says. 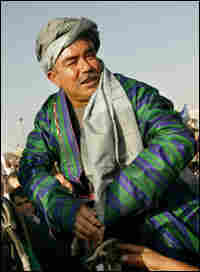 "I'm sure the president himself and a lot of us are quite happy to call it supporting the Afghan government. If we are looking for a durable and sustainable solution to the problems of Afghanistan, we have got no other choice but to support the state institutions and make sure that they are working, make sure that they are transparent, and make sure that they can deliver the goods to the people of Afghanistan." Joanna Nathan, an analyst for the International Crisis Group, says that can't happen in the current climate. "Far too much has been hung on individuals, and I think the system chosen here was a wrong one — a very centralized presidency, a sort of winner-takes-all system — when you actually have a country that has wide divisions ...." Nathan says. "It would actually be far more appropriate here to take a very regional approach." That would mean empowering village and district councils that operate by popular consent to deliver services. Nathan also says more should be done to ensure ministries are running effectively as well as developing political parties with platforms that address people's needs. And, she says, law enforcement and the judiciary must be beefed up so that corruption is held in check. "Two or three years ago, I could see the merit of having a strong presidential system because we still were going through the recovery phase," he says. "But perhaps now, the time has come that we revise that system, and see if we could move somehow toward a strong parliamentary system where ministers of the government could come from the people." But instead of reform, the only change seems to be the growing number of Afghan politicians looking to take charge. Some are openly flouting the law. In a case that's making headlines in Afghanistan, a former warlord, Gen. Abdul Rashid Dostum, has refused to appear in court on charges he and his men brutally assaulted a rival and his relatives last month. The only punishment for his defiance so far has been his suspension from a largely ceremonial post.